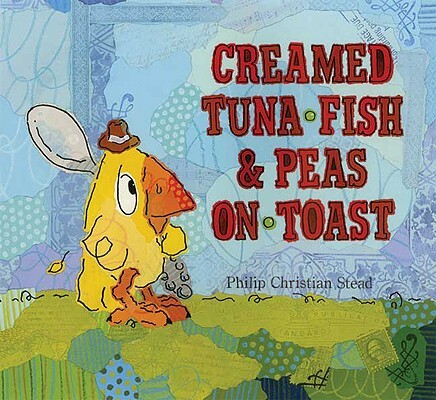 Listen to a celebrity read aloud from members of the Screen Actors Guild Foundation. Activate your mind through a variety of science and math activities designed for critical thinking. 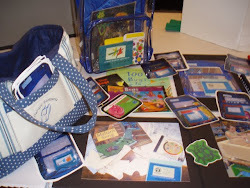 A virtual world for kids where their character travels through various settings and time periods, where they need to listen, remember, infer, and pay attention to achieve their medals. 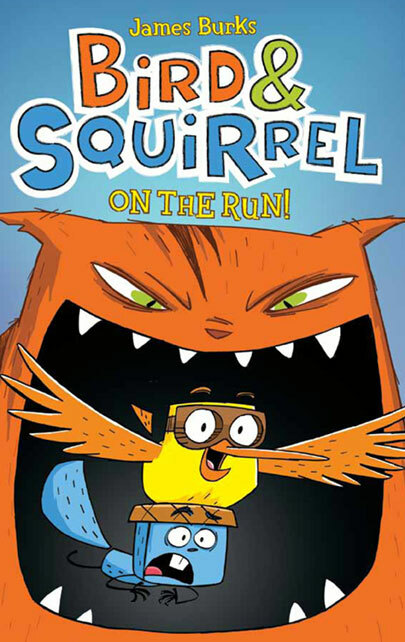 WARNING: this is very addicting to most adults. 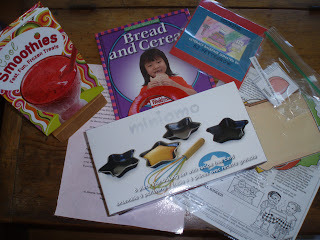 For kids and teachers...a lot of learning opportunities and fun to be had! 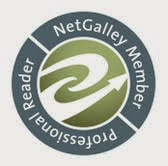 "WARNING: This website contains scenes and material which may be considered too silly for grown-ups, small animals, and many varieties of houseplants." 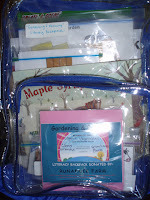 "The more you know, the more you know"
Why haven't I done this before? 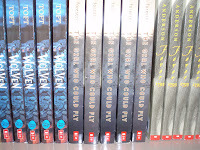 Last month I pre-ordered almost a dozen books from Amazon that had Fall 2012 release dates. 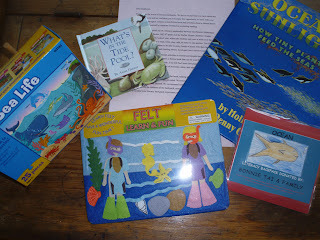 This means throughout the next few months, my students and I will be celebrating NEW book arrival often and we will be some of the first to devour anticipated new arrivals. 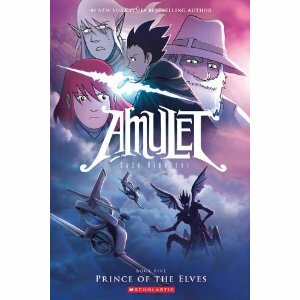 Today, AMULET Book Five has arrived and don't tell my students but I am so glad I have first dibs on reading this because the line will be looooooooooong. 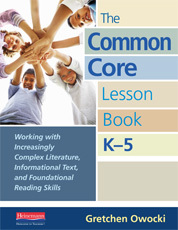 So I purchased my first "common core" teacher resource, The Common Core Lesson Book K-5 by Gretchen Owocki. 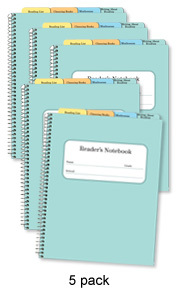 First, I love how it is bound with a fat spiral, giving it the feel of a daily working and hands-on tool. 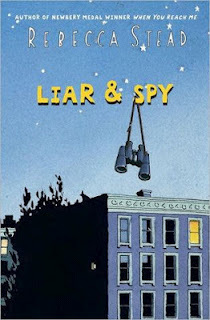 And that it seems to be. This is a resource that I fully plan to use and feel confident I will benefit from going into a new school year, with a new standards based common core curriculum, with this reading resource. 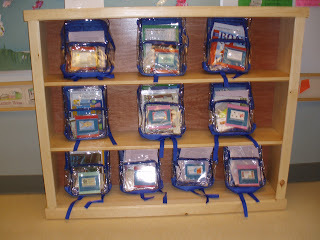 Each standard (anchor) is identified, and shown a grade level scope and sequence. One thing to consider is, even though the headers on the scope are by grade level (K-5), if a child is below or above the grade level standard, you simply move back or forward on the progression. You start thinking about your student's individual goals, rather where they are "suppose" to be. 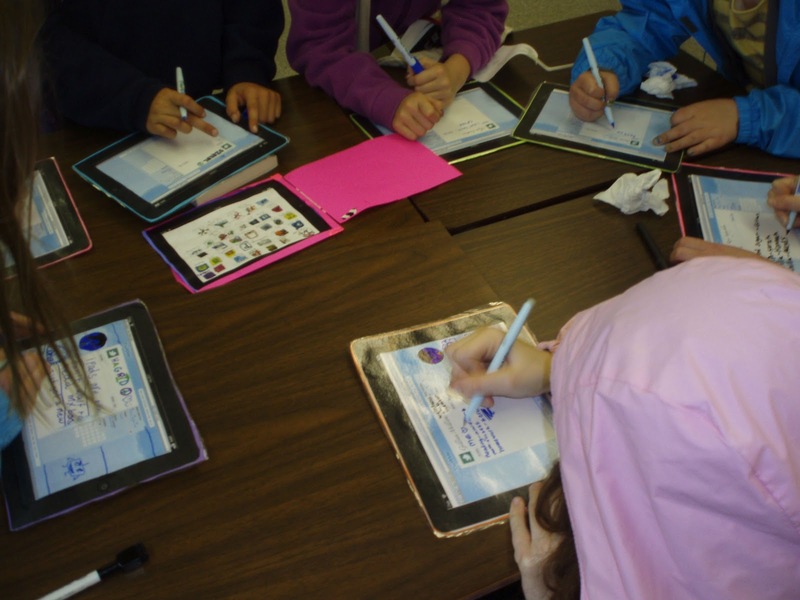 Each standard (anchor) offers: Demonstration, Collaborative Engagement, and Independent Application. 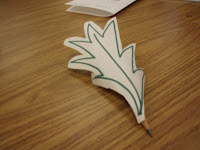 Gretchen goes on to include graphic organizers, mini lessons, and instructional strategies. 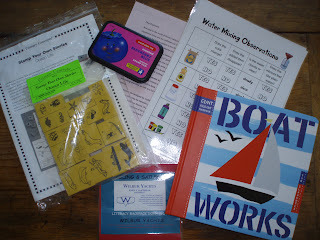 I will keep you updated on how the lessons go. 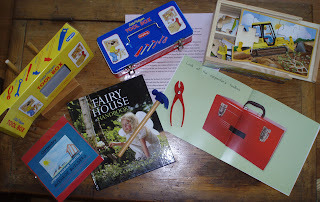 Published by Running Press Kids, this non-fiction book about rebels in dresses is awesome! 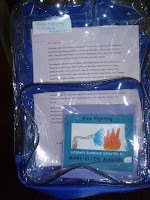 Bravo to writer Sylvia Branzei and also Melissa Sweet for the appealing text and special illustrations. 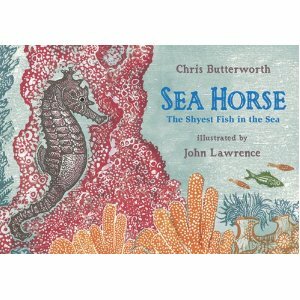 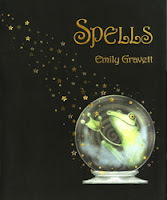 This book feels special to the touch, the pages sturdy, decorative historical feeling textures and end papers. The writers use of non-fiction features is brilliant. She uses things like "sticky notes", photographs, and a variety of fonts to make this book an experience. 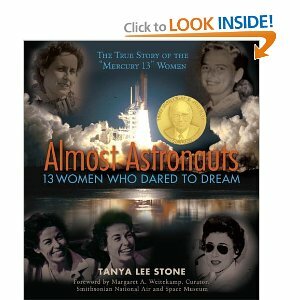 An amazing story about 13 women astronauts who battled the government and an unspoken rule at NASA in the 1950s...women can't be astronauts. 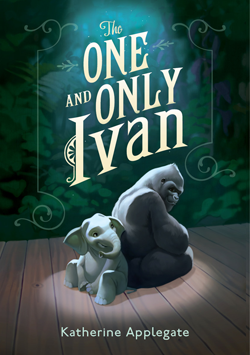 Well, this story tells the story of 13 flight pioneers who proved to be as heroic, intelligent, tough, and flight ready as any man ever had (as well as surpassing them on many flight test & tasks). 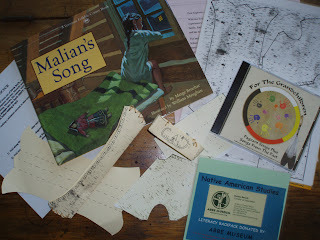 Tanya Lee Stone shares an important piece of history that I feel a lot better knowing about. A Literacy Backpacks Lending Library for their pre-school buddies at the local children's center. 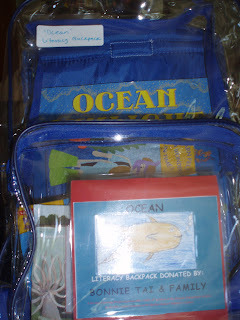 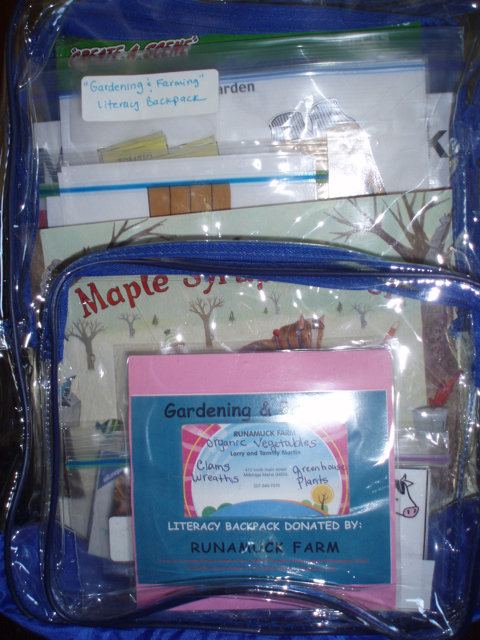 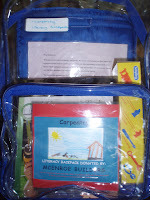 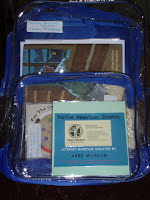 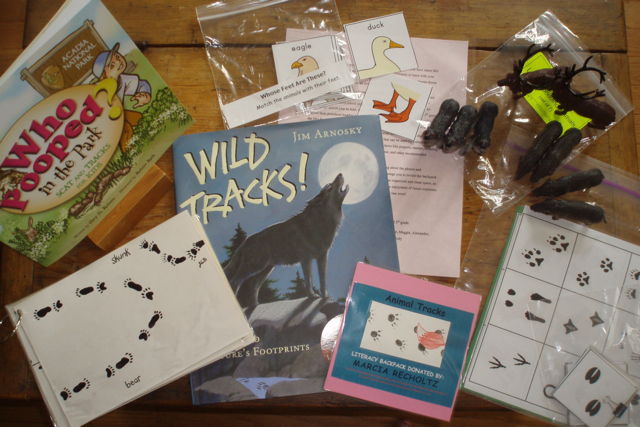 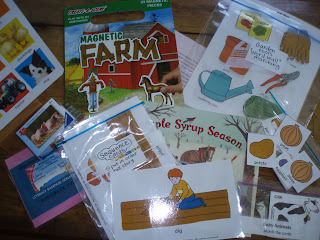 Each backpack has a non-fiction book (or two) and activities to go with the theme of the pack and book. 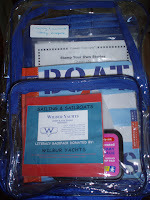 Local people and business' sponsored the pack and chose the theme too. 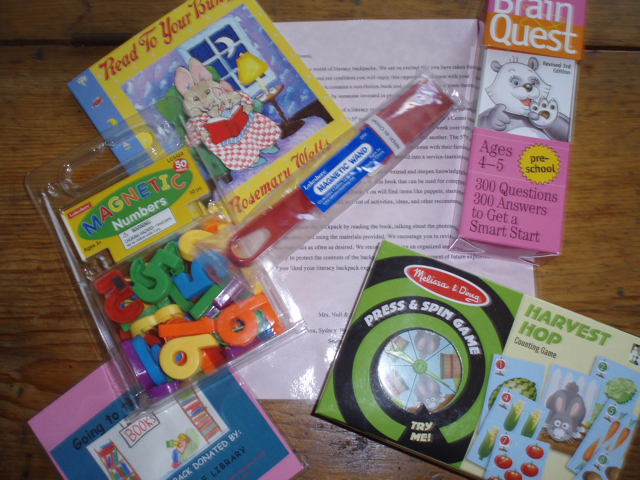 Museums, school staff, libraries, and local companies invested in promoting reading in their community sponsored backpacks. The backpacks were given to the pre-school and will serve as a non-fiction lending library to encourage family literacy and interest around non-fiction. 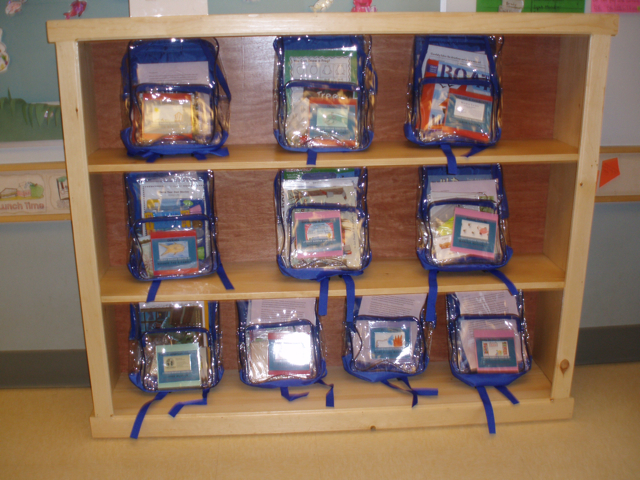 Our amazing art teacher and his middle school building team built this book shelf to house all the literacy backpacks that were put together. 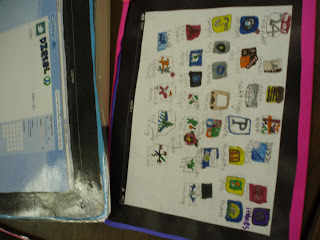 We hope to continue this project this year with the new 5th graders. 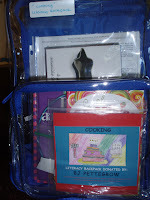 We put together 10 literacy backpacks last year and hope to put 10 more together this year. 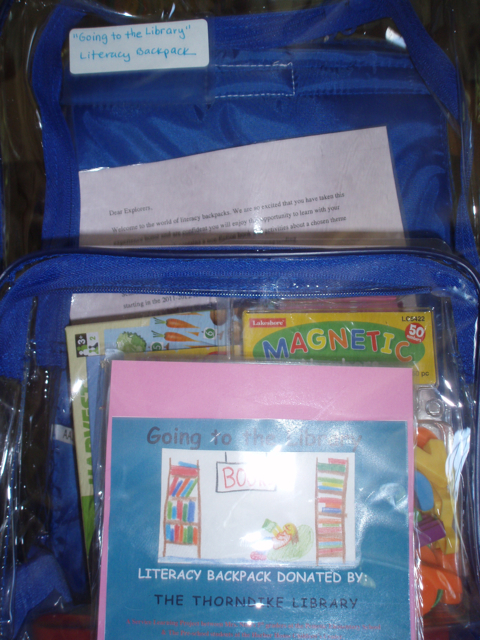 The pre-school students are thrilled to be able to borrow the backpacks, learning about topics and community resources at the same time. 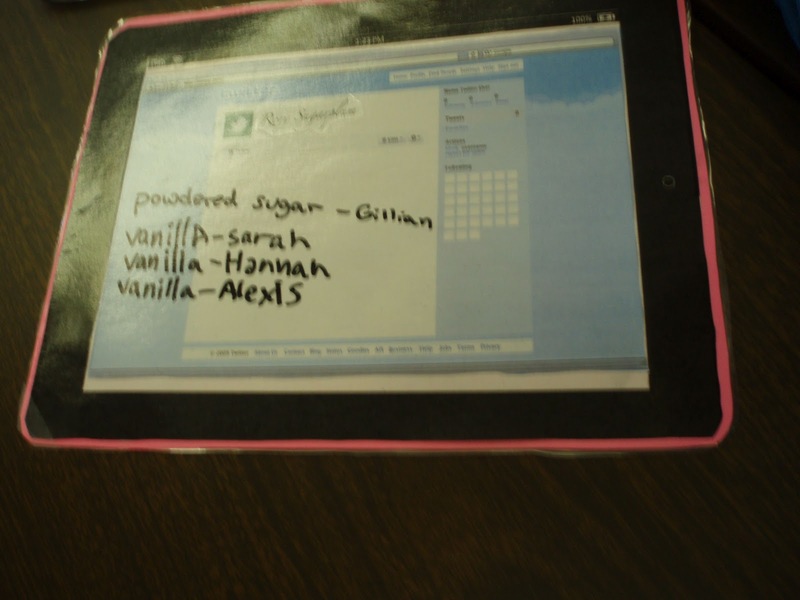 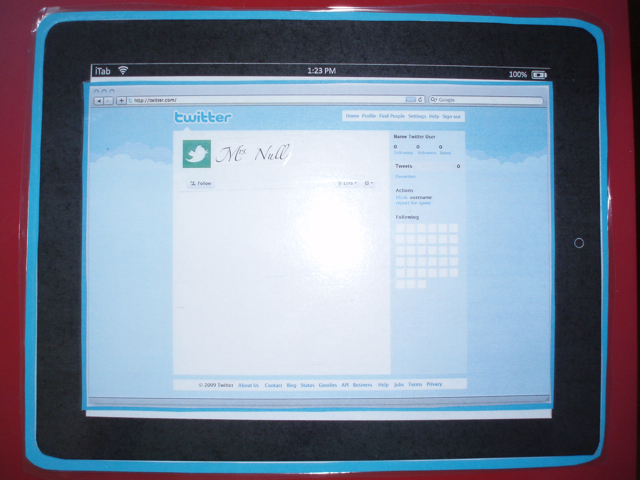 Students "tweet" and display their "apps". 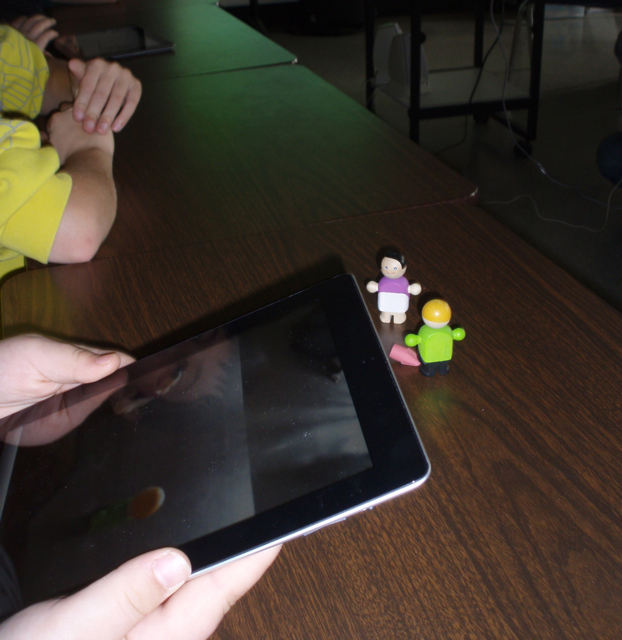 Using an animation app on the ipad. 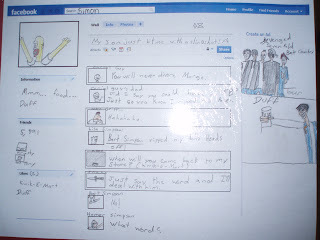 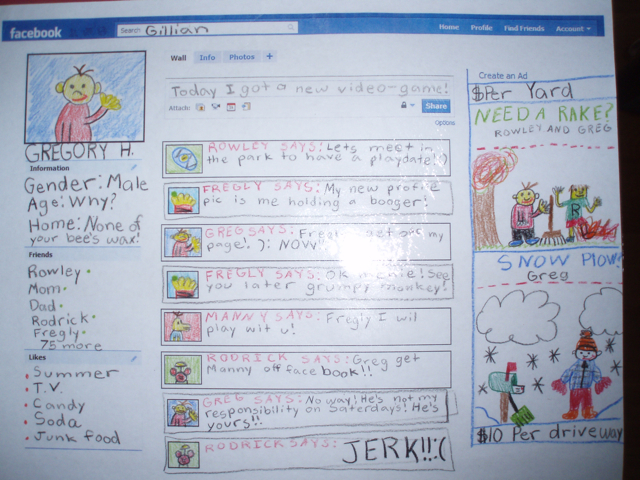 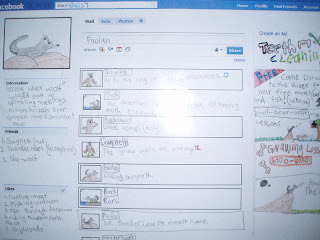 I gave my students a Face Book Home Page Template for them to make a character page. 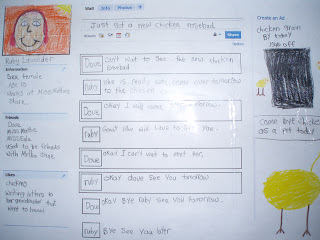 They really demonstrated their character understanding. 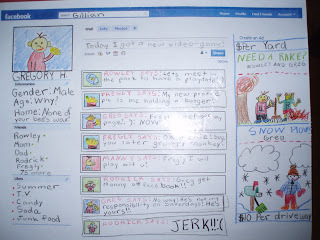 The Ads were even relevant to the text. 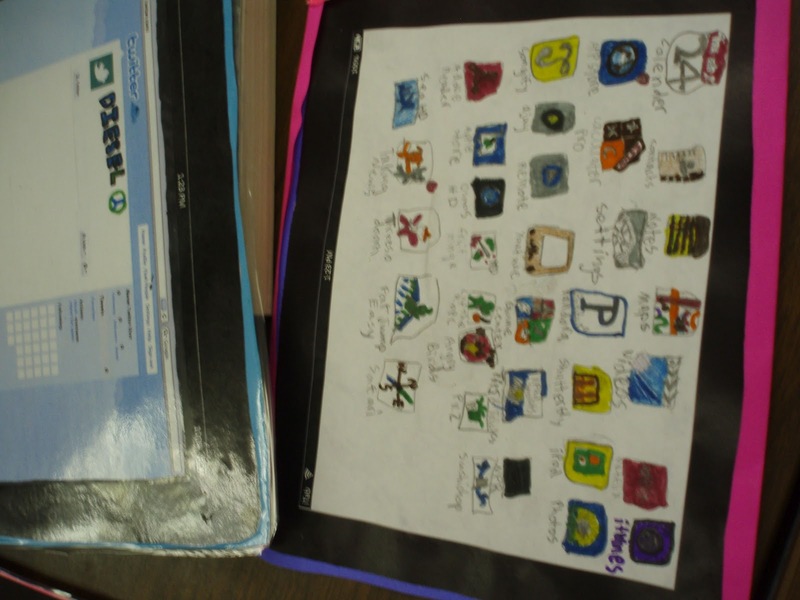 The modern book report is here and the motivation extreme! 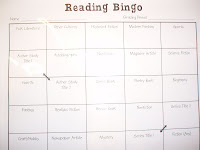 Fun and relevant expression of reading comprehension. 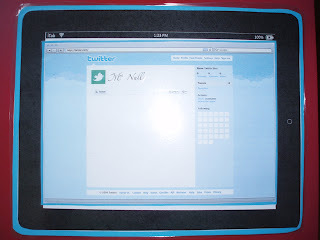 We also each have our own "Laminated ipad Twitter Page" that students tweet about the days events and use as a tool to share their day with their families. 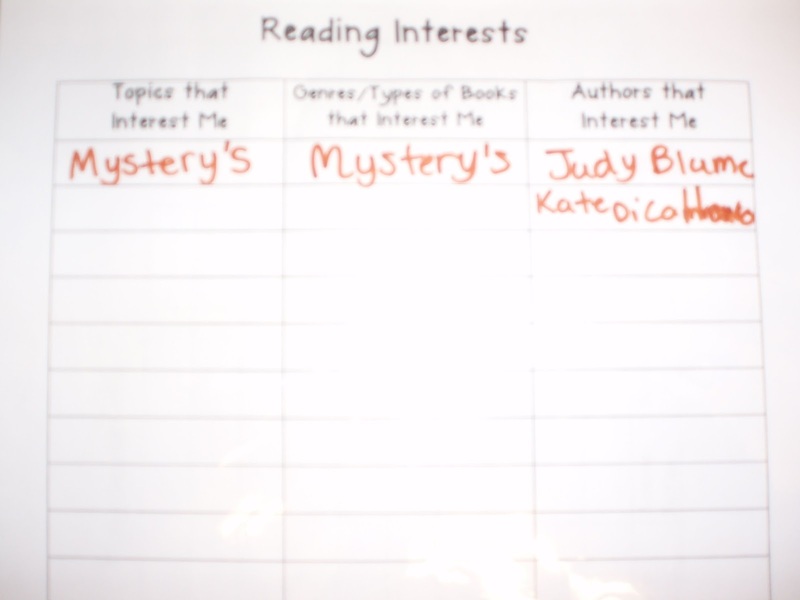 My students participate in a variety of reading groups & book club activities, and I plan on documenting those events with photos too, that students can add to their Reader's Notebooks. 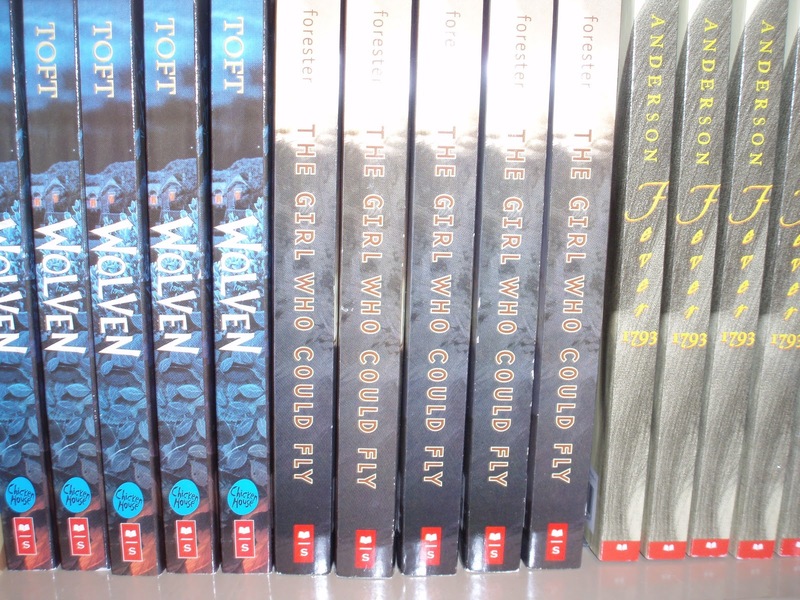 Scholastic Books has some fair deals on multiple copies of books. 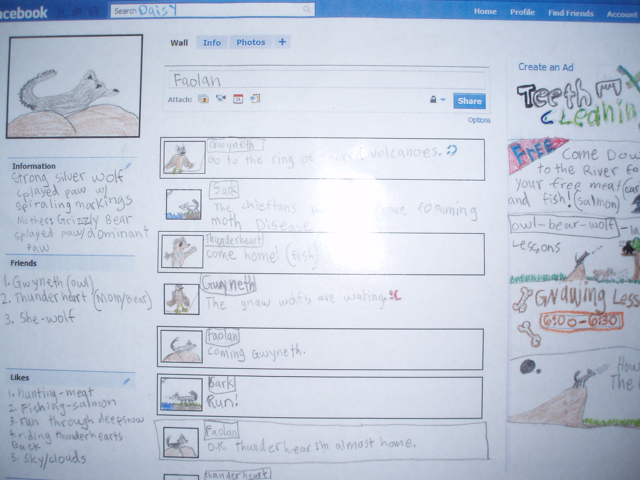 Student's favorite topics, genres, and authors of interest might change over time. 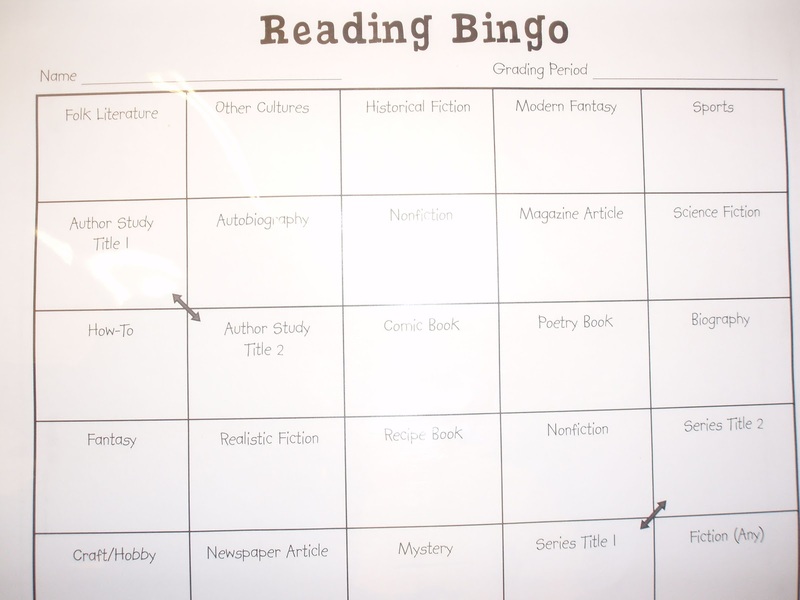 A Genre Reading Bingo goal could be used for student personal reads or class read aloud picks. 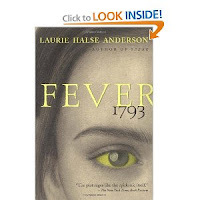 FEVER 1793 is an excellent choice for historical fiction. 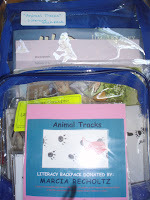 Compare to non-fiction resources to enhance knowledge. 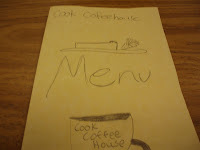 The "FEVER" reading group invited the rest of the class to a time period Coffee House modeled after the one in the book. 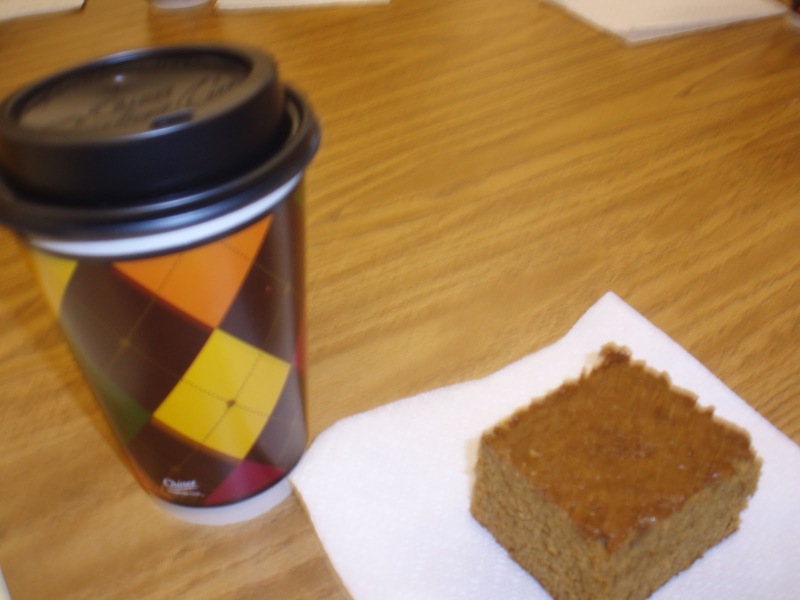 Hot chocolate and ginger bread, YUM! 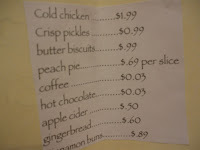 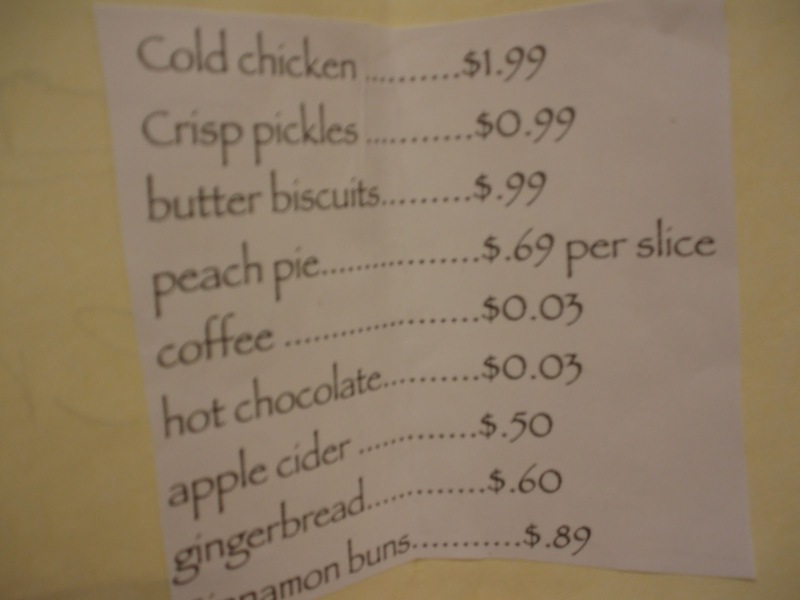 The prices were amazing and the service the best! 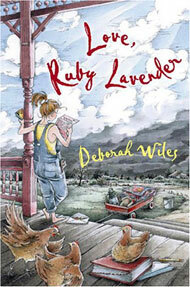 Ruby Lavender was well received by a group of my 4th grade girls. 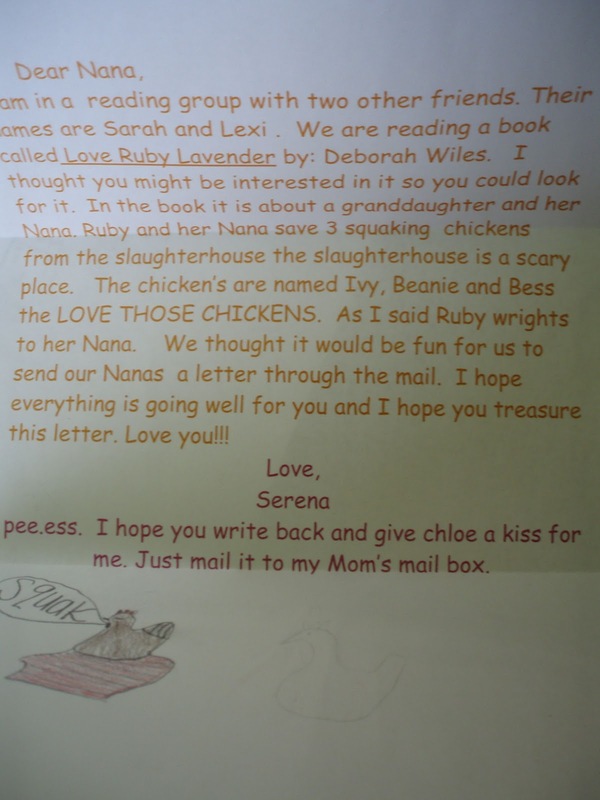 Like Ruby, the readers wanted to write letters to their own grandmothers. 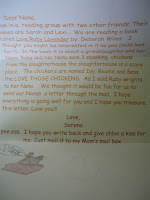 This brought me great joy, as I have fond pre -email memories of how I would write letters to my family and friends...and of course to both my grandma and memere'. 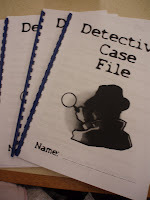 Each Mystery Reader gets a Case File. 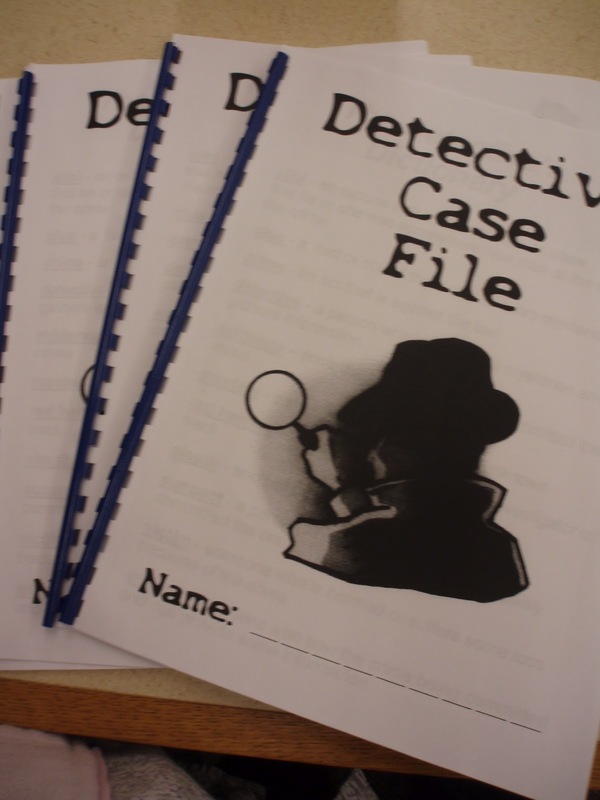 Detectives keep track of clues, suspects, red herrings, and other important information as they read through the mystery with their detective club peers. 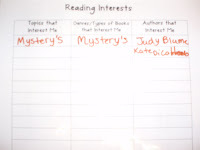 Elementary students seem drawn to the mystery genre while reading and writing. 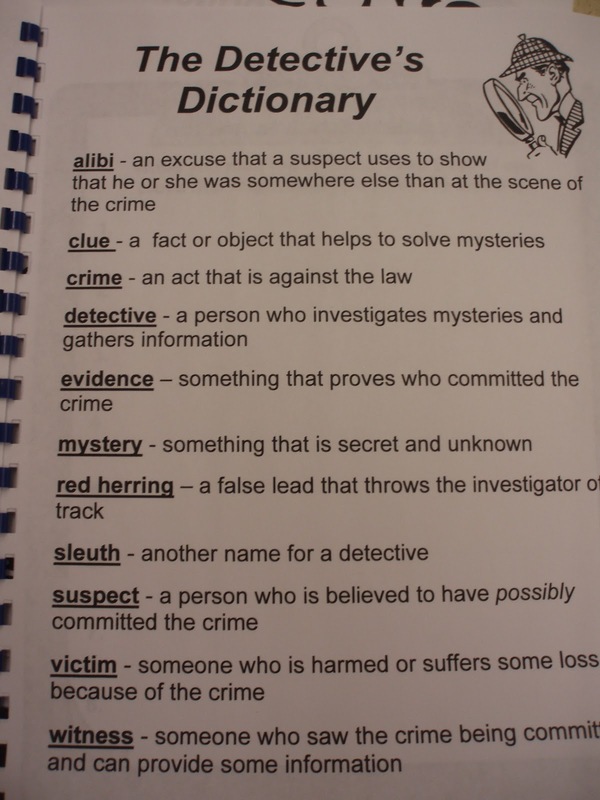 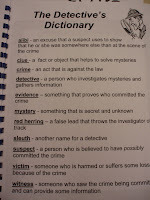 This Detective Dictionary is in the case file and really supports vocabulary development. 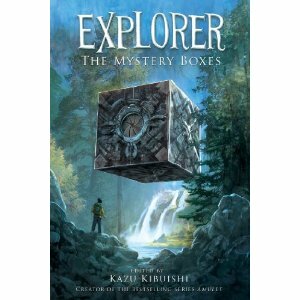 Two 4th graders share what makes a good mystery, demonstrating an understanding of both the vocabulary and story elements of a mystery. 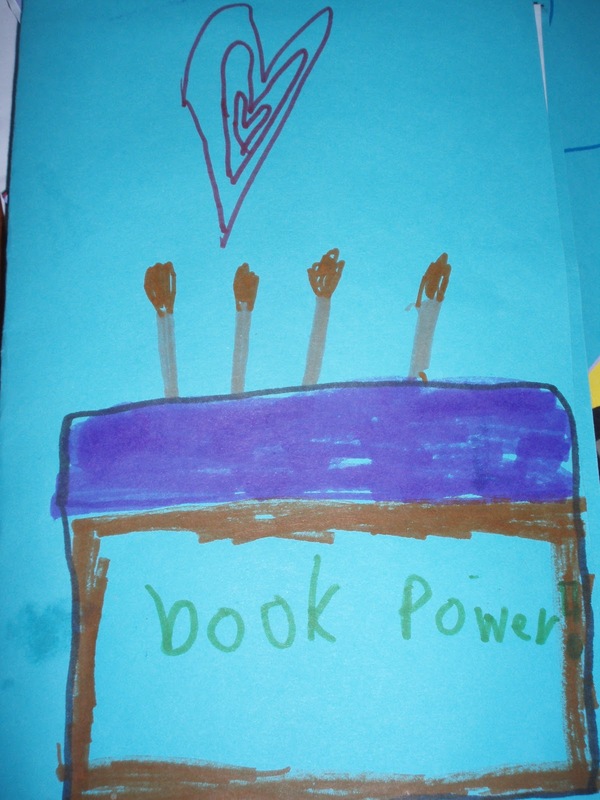 A student gave me this book Power card on my birthday one year. I thought it was pretty awesome cake.